If you’re reading this post, then you already know what PrestaShop is. However, let us remind you about this platform one more time. PrestaShop is one of the world’s most popular and feature-rich e-Commerce software programs, delivered totally for free. It is used by more than 230,000 online store owners in over 160 countries. Impressive numbers, don’t you think? PrestaShop themes provide people from all over the world with the most powerful and dynamic e-Commerce solutions, powered by hundreds of handy tools and modules to build and manage a profitable online store. And now imagine that you can get all this at no cost. Well, you don’t even have to wonder about that possibility or browse dozens of websites to find such freebies, as this opportunity is in front of you right now, and it is called Free PrestaShop Themes. For our collection today we assembled 10 modern, high-quality and, let’s say it again, FREE PrestaShop themes to help you be successful in the expanding world of e-Commerce. All themes originate only from the most reliable sources, like TemplateMonster, LeoTheme, Apollotheme, and others. So, let’s take a closer look at them. This responsive Wheels & Tires Free PrestaShop Theme is designed specifically to make your car accessory online store outstanding. You can also apply this theme to fashion, industrial or interior décor stores. Moreover, Parallax animation effect ensures that page browsing will be more impressive. If you are looking for a simple and free PrestaShop theme, then pay attention to Ap Culinary Theme from Apollotheme. It has everything that a modern online store needs: comfortable navigation presented via menu and blocks, large typography to attract users visually, and a lot of other useful properties. Book Hangover free PrestaShop theme from TemplateMonster is a great e-commerce solution for those, who are planning to open a book online store. The theme’s design is clean and neat, which means your site will look eye-catching and your products more appealing. Showcase your game stuff products with this Leo Game Gear free PrestaShop theme. Multiple features are available here: support for numerous color layouts, jQuery effects, Mega Menu, and others. Because of its responsive design, the theme is displayed effectively on desktop, tablet and all mobile devices. Mobility is a free responsive PrestaShop theme, ideal when used for an online electronics store. Developed by BillionThemes, this theme will definitely improve your e-Commerce business. Powerful navigation system, totally responsive design and plenty of other handy features transform this free PrestaShop theme into a powerful e-Commerce weapon. With its help you can bring the attention of thousands of customers to your online converse store in a comparatively short time. Make use of AP Travel free PrestaShop theme from ApolloTheme to be sure of a solid online presence as a travel agency. Mega Menu, lots of widgets, languages, and Google font support make this theme your perfect online representative. Designed to be multipurpose, this free PrestaShop theme from Leo Theme is perfectly suited for a variety of online stores. It can be used for cycling and clothes as well as for a gadgets and accessories e-shop. All you need is to change product photos for yours. The main purpose of this free Shoe Store theme is to attract your customers’ attention to actual products more than to any other content, which means that there will be more conversions. At the same time, the design is clean and simple, which makes this theme a great option for starting a money-making online store. Minimal is a high quality free PrestaShop theme from Entienda. It perfectly fits various online furniture and interior design stores. Potential customers will be able to browse products in 2 ways: in a grid or by list. Furthermore, it is responsive, which is an essential feature nowadays. Unfortunately, that’s all folks. We hope that you’ve picked a suitable theme to start or redesign your e-Commerce website. 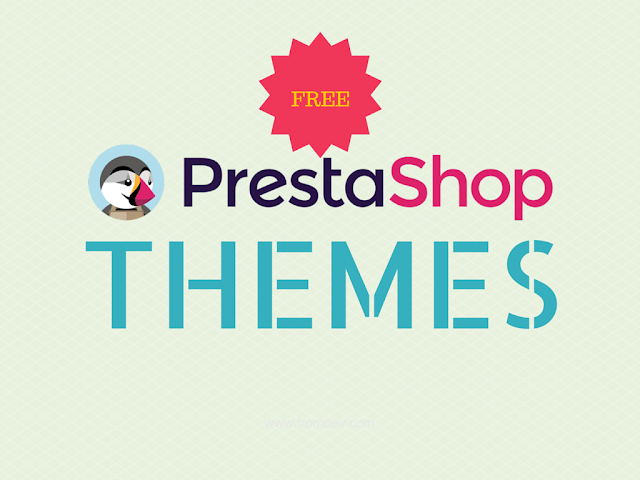 And, of course, you’re welcome to share your opinions about these themes or suggest other free Prestashop themes in comments under this post. Thanks, and good luck! Updated On Oct 2016: Updated links and fixed minor formatting issues.